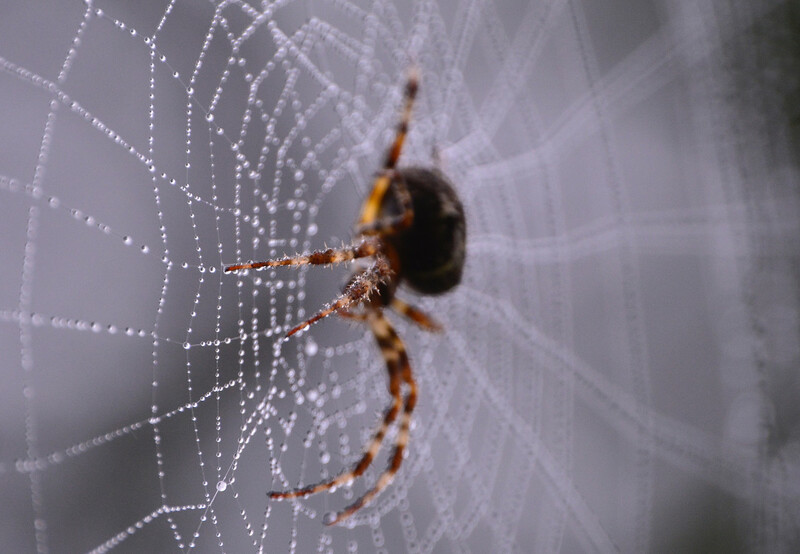 To protect your home from spiders and other insects, Complete Cleaning Solutions offers a thorough spider proofing service both inside and outside your property. On the exterior of your home, we will mist down your roof, walls, around windows and target common insect areas. In the rare instance any of the above insects do manage to make their way inside your house, they will not survive. You can book our spider proofing service as a preventative measure or to eradicate an insect problem. Contact Complete Cleaning Solutions today to receive your free quote. Who is the work completed by? Work is carried out by an approved handler at your Christchurch home. How do I prepare for spider proofing? To prepare for us coming, please cover everything inside your home with drop sheets. From children’s toys through to beds and the kitchen bench – everything must be protected. Do pets need to be removed from my home? Yes. Please remove all pets during spider proofing. Remember your fish tank! When can I enter my home after misting? After the job has been done, please ensure your family and pets wait at least three hours before re-entering your home. Are there any stains or nasty smells? No. You can expect zero stains or odour either outside or inside your home. After misting, cobwebs are removed for you. Do you use a UV fogger or a spray? To ensure those hard-to-reach places are covered, our handler chooses to use a UV fogger, not a spray. What strength product do you use? How long does your spider proofing last? Exterior and interior spider proofing lasts up to one year. It makes sense to have two important jobs done and dusted within a close timeframe. After we have spider proofed your home, Complete Cleaning Solutions can remove any residue left from the misting when we thoroughly clean your windows. It is best to have your windows cleaned 10-14 days after spider proofing. You can keep your children and pets safe from spider bites and avoid unwanted flies in the summer. Plus you can enjoy sparkling clean windows. Contact us today about our discounted combo deal. All enquiries will be responded to as soon as possible. © Complete Cleaning Solutions 2018 - website by KiwiSites.